Here's another look with my nails still a bit shorter than usual, thanks to a broken index nail. This mani is about a month old. 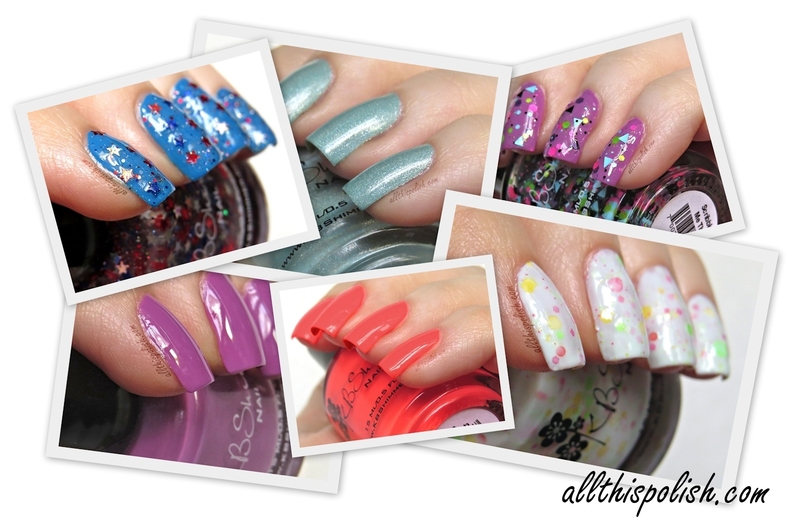 Posting a manicure from Mother's Day a few days before Father's Day makes total sense, right? Ha, well really it wasn't meant to be a Mother's Day look, except that I put this together during Mother's Day weekend and my mom ended up asking me to repeat it on her for Mother's Day itself. 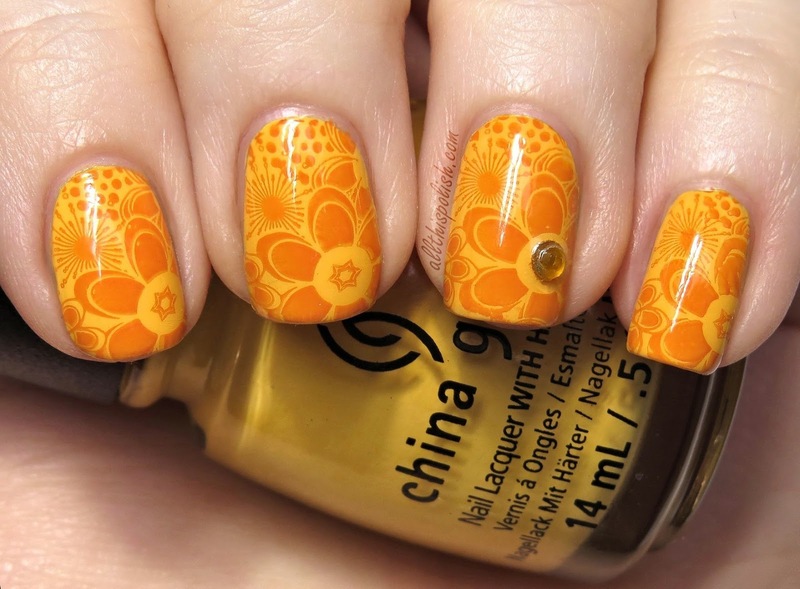 I started out with 3 thin coats of Metro Pollen-tin, another polish I picked up from the China Glaze City Flourish Collection. The first coat was a little streaky, but it was almost completely even by the second coat. I ended up applying a third coat just to get it perfectly even. 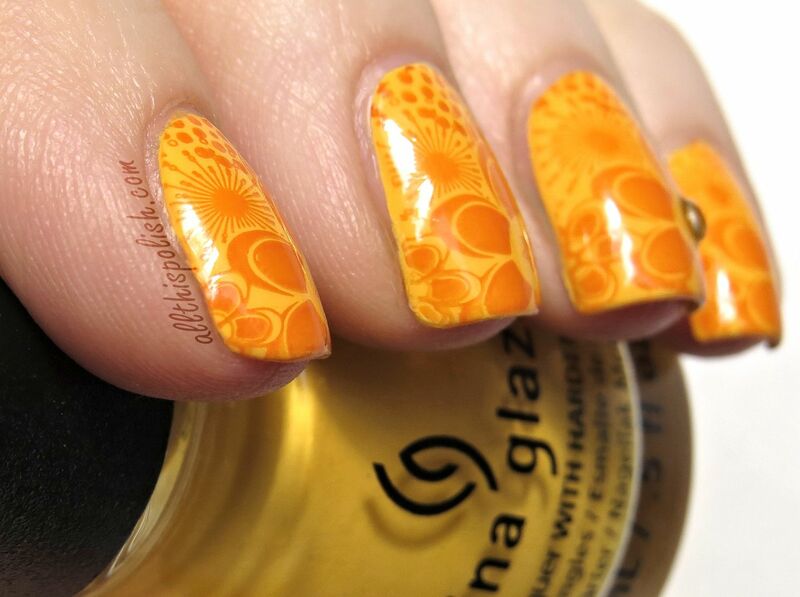 After that dried, I stamped a floral pattern from Pueen plate PUEEN25 using Konad Special Polish in pastel orange (which isn't really pastel to me, but that's what Konad calls it). 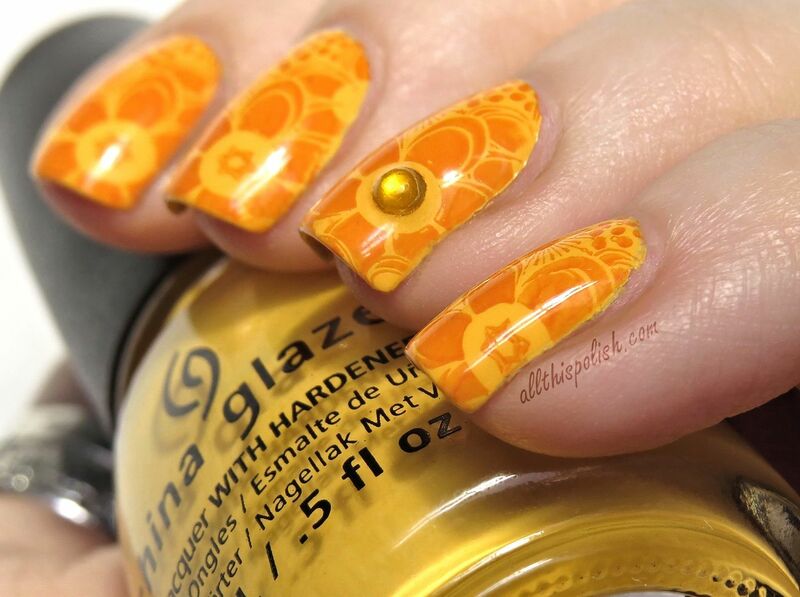 I added an orange rhinestone to the nail on my ring finger as an accent, and topped everything with Seche Vite. My nails are starting to gain some length back, but I still have a couple manicures to post from when they were a little bit shorter. 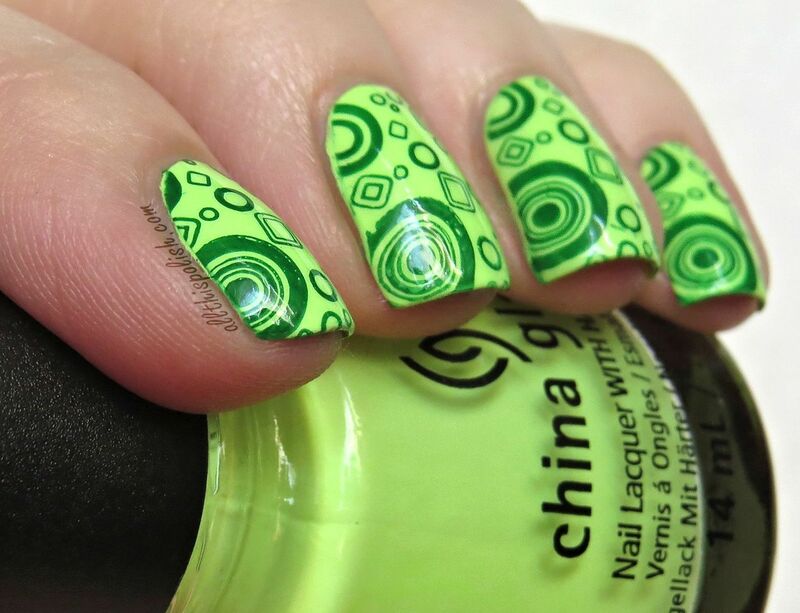 Today's post is just some abstract stamping I had done on top of China Glaze Grass Is Lime Greener, from the Spring 2014 City Flourish Collection. Grass Is Lime Greener was a bit chalky, but I didn't have a very hard time with it like I had read about in a few reviews. I was relieved since I had bought it before I start seeing others post about it being really streaky and hard to even out. I did end up applying 3 coats, but application wasn't troublesome at all. I just made sure to take my time with each coat. 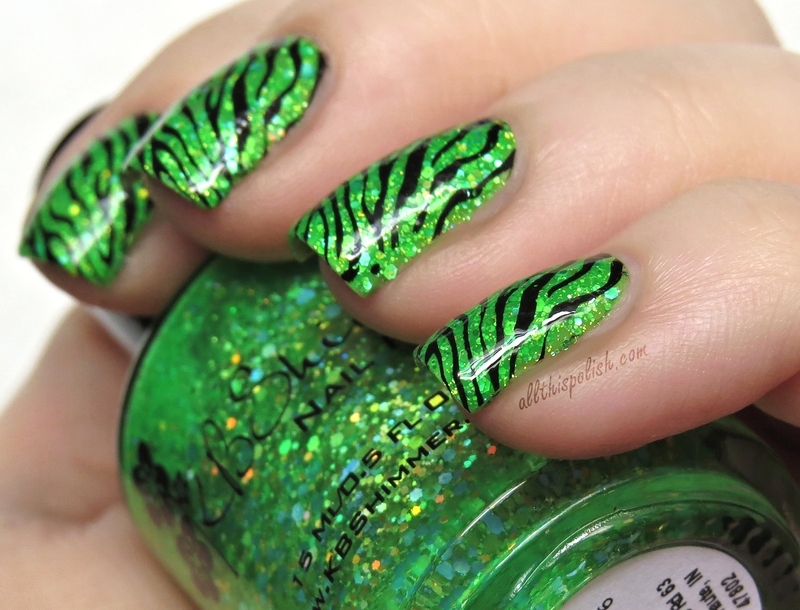 The stamping was done using Konad Special Polish in green and a design from Pueen plate PUEEN16. I liked this manicure much more in person than how it comes across in the pics. And even with having to be a little more careful with the application, I'm really glad I picked up this shade from the City Flourish Collection. Corny title, I know. But it was the first thing that popped in my head, so I'm going with it! 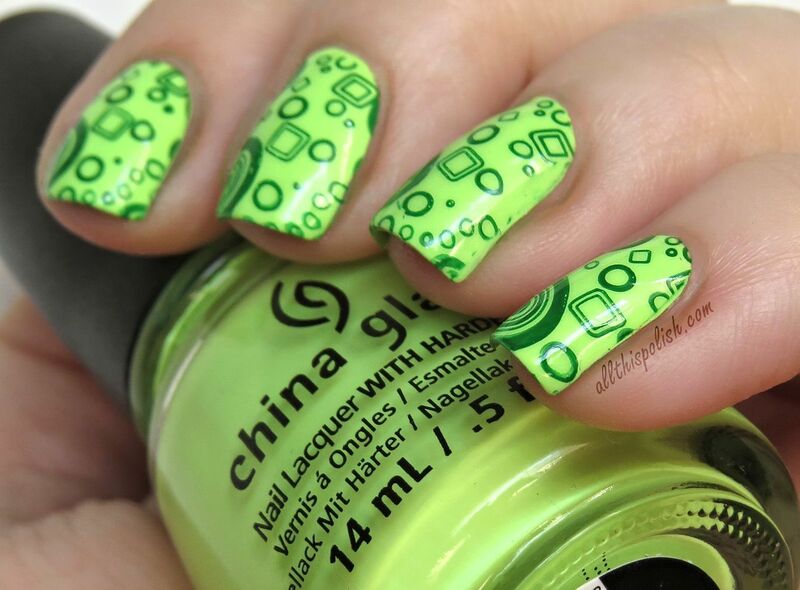 After swatching polishes from the KBShimmer Early Summer 2014 Collection, I loved Partners In Lime so much that I put it back on. I wore it for a couple days just by itself, no top coat. But then I decided to add a little stamping, and once again I was drawn back to the tiger/zebra print pattern on Bundle Monster plate BM-223. 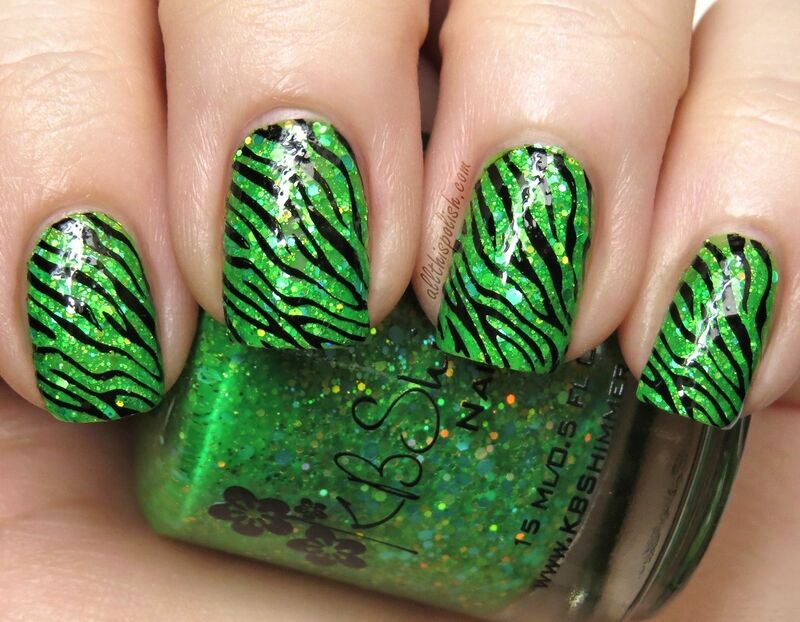 I thought about going with a darker green to stamp with, but opted instead to use black for something a little more bold. 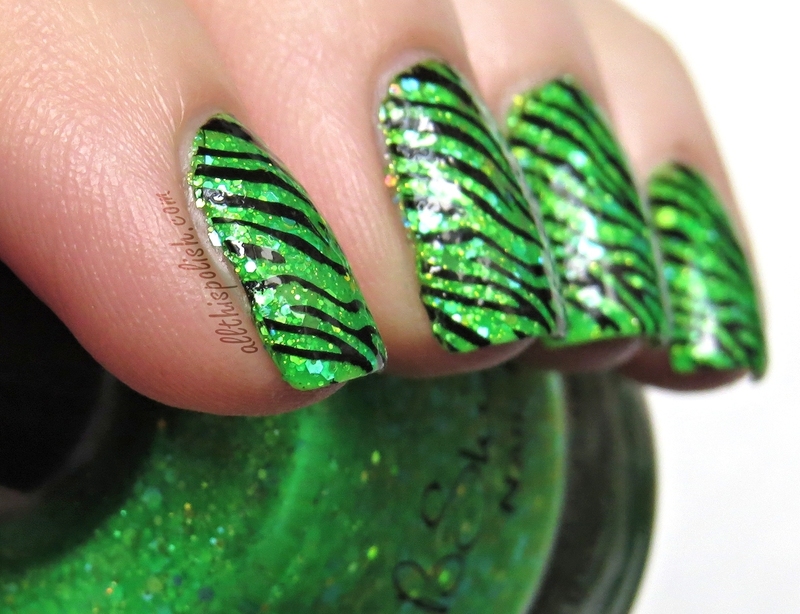 After stamping, I finished the look off with two coats of Seche Vite. The first coat made the mani fairly smooth but, because of the texture, I decided to go for a second coat of Seche Vite to get a perfectly smooth finish. 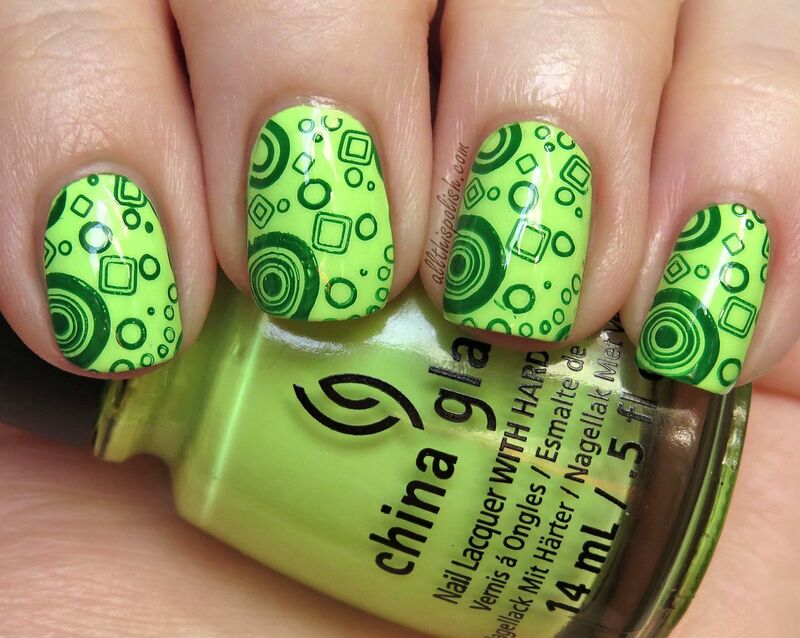 As much as I loved Partners In Lime without top coat, it was so beautiful with top coat. I loved the way the different color glitters sparkled between the black animal print design, especially when I was out in the bright sunlight.